Donati's Comet over Florence by James Hervat - The Great Comet of 1858 in the evening sky over Florence. 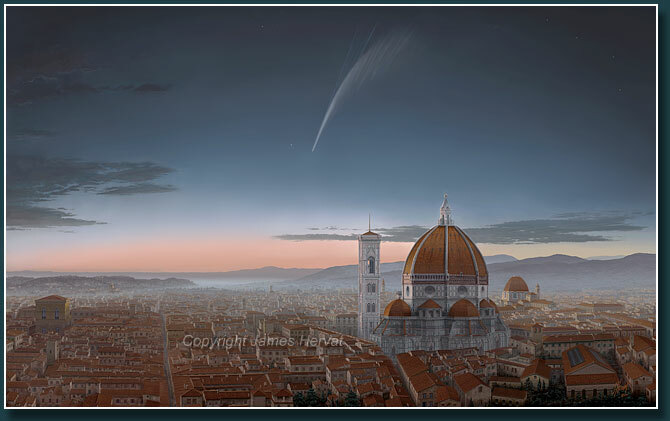 Donati's Comet over Florence (2007) - Donati's Comet, one of the most beautiful in recorded history, hangs over the rooftops of Florence on a warm evening in early autumn of 1858. 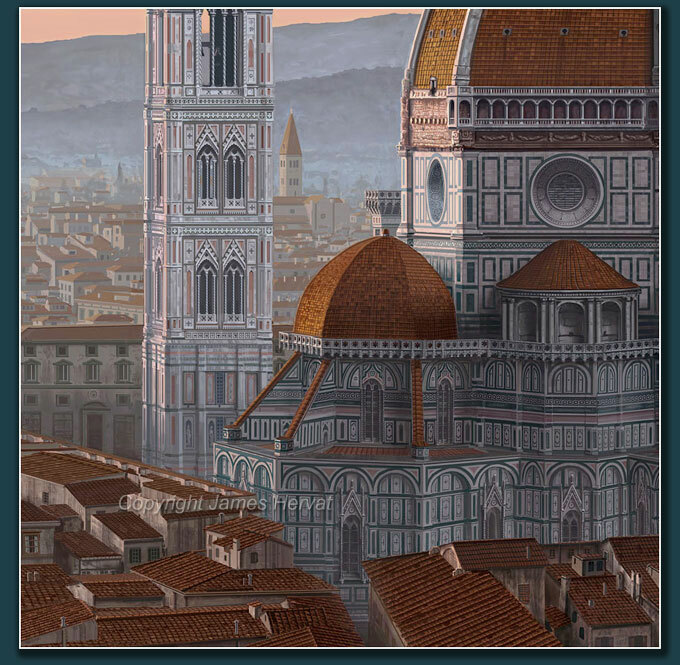 Detail view of the ornate Santa Maria del Fiore cathedral. 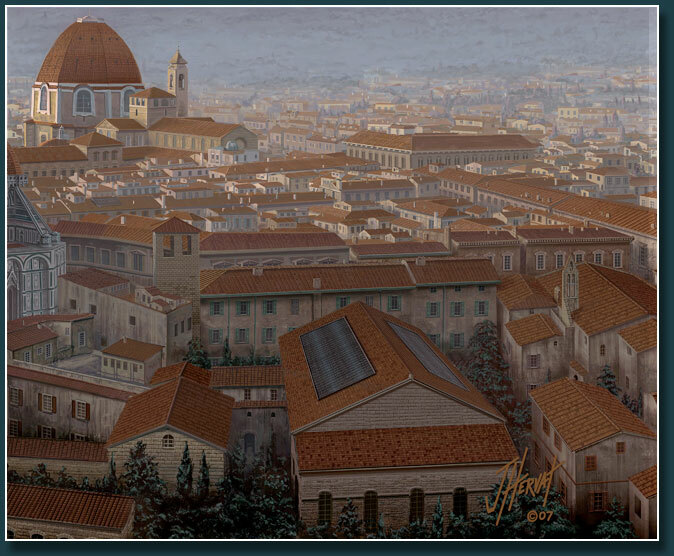 Looking toward Casa di Dante (the poet's birthplace), Orsanmichele, and the mists rising from the Arno River. 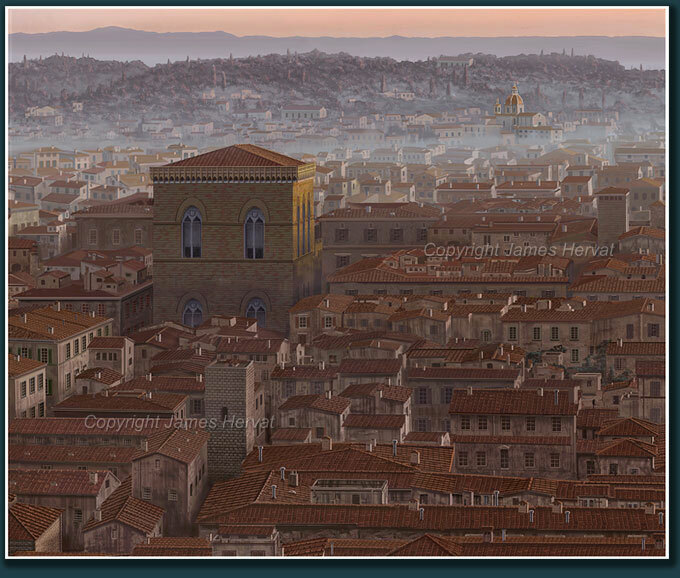 Looking toward San Lorenzo and Palazzo Medici. 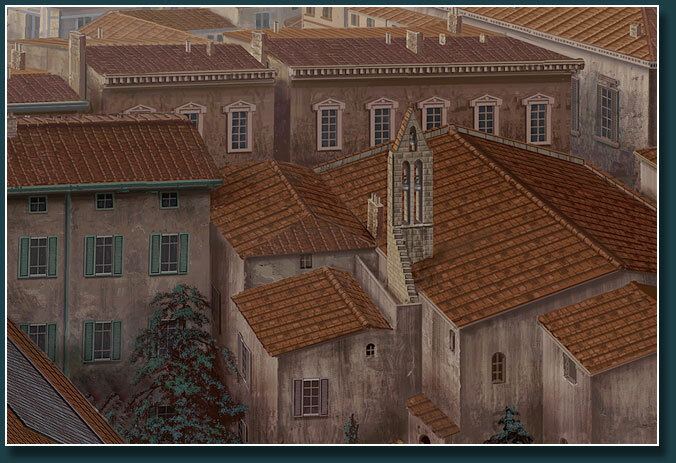 "Detail of the detail" - An even closer view of a section of the above image to indicate the degree of detail that was maintained across the cityscape.